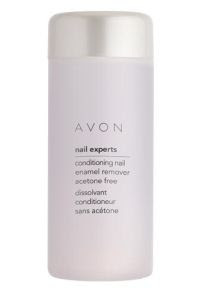 Avon Nail Experts Conditioning Nail Enamel Remover. If you have been using acetone to remove the vestiges of your old nail-polish, it’s high time you switch over to a superior product like Avon Nail Experts Nail Enamel Remover. Acetone generally makes your nails to become dull, discoloured and brittle. The best thing about Avon’s Conditioning Nail Enamel Remover is that it is acetone-free and contains keratin and pathenol, which are gentle on the nails and it protects, conditions and helps retain their natural shine while making them stronger and firmer as you remove every trace of colour. And it’s affordable, costing just Rs.70/- in India. You can also get it from here.